Personal data processing pursuant to art. 13 of European Union Law 2016/679 (GDPR: General Data Protection Regulation). Pursuant to article 13 of EU Regulation 2016/679, our company 4P s.r.l. 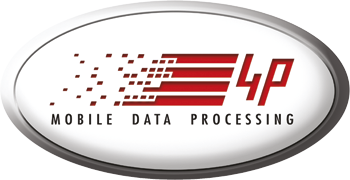 (4P) – also known as 4P Mobile Data Processing - with its registered office at Via Gerrmania 15, 35127 Padova Italy, as the Data Controller declares that any personal data, including the e-mail address, other addressess or personal identifying data submitted by filling the forms available only on our internet website, will be used for the following finality and according to the following conditions. 4P will acquire and manage exclusively anagraphic data and some times fiscal data; in no case 4P will acquire any personal data of special categories as defined by art. 9 of Regulation 679. The provision of data is mandatory in order to allow 4P to respond to the user requests. It is insetad optional for the general marketing activities as defined in b) and c). Any refusal to supply all or some of the personal data, could lead to the impossibility of fulfilling the user requests and would anyway prevent any marketing and promotional activities. The personal data could be known by 4P employees, more specifically by those engaged in marketing, sales and accounting activities. In no case the personal data will be disclosed to any other third party.